The one part of planning that gives me the most trouble is choosing paint colors. I tried out a range of colors in our last house, which ended up going from “really like it” grey to “why did I pick this?” blue. I’m entering into this round of color choosing a little wiser, but I still have my work cut out for me. I want to make the downstairs rooms to have a unified color scheme so that the rooms coordinate well (but don’t match). The areas that can be easily split out from the most-open floor plan are: foyer/entry, den, and kitchen/dining/living room. As anyone who worked with multiple computer screens has probably noticed, you can’t use the internet to research real-life colors because they almost never look the same. So instead of specific paint colors, I’m listing off my ideas in general descriptive terms. I’m making the text colored for fun more than accuracy. Foyer/Entry: Buttery yellow. I am not a fan of yellow in general, but I’ve found that a nice light/bright yellow can be very welcoming. It will also go well with the terracotta tile. Every other wall is broken up by cabinets, appliances, bay windows, etc. I know, such a tough problem to have… too much light and storage! Den: I’m stumped…. I had the idea of a warm orange reminiscent of firelight. 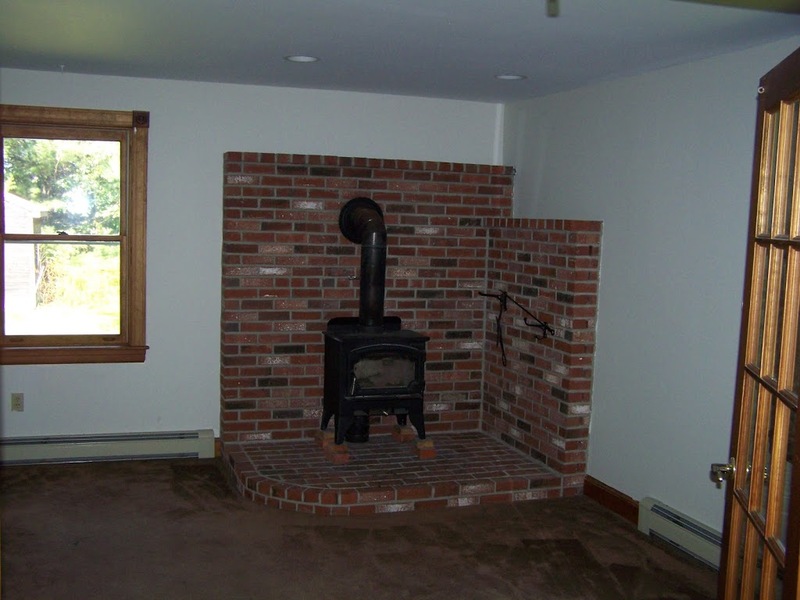 Then my mother pointed out that the red-maroon brick hearth might not look good with orange. 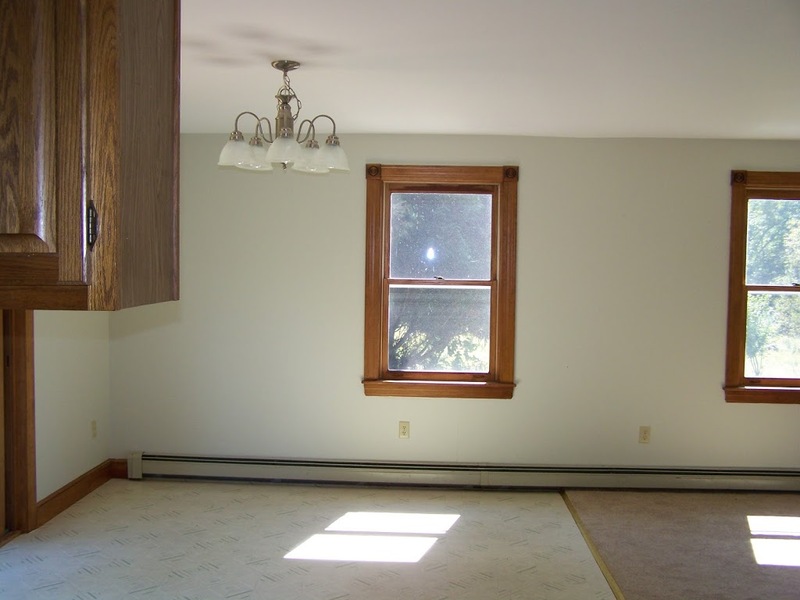 The room is dark by nature (back corner of the house, only two small recessed lights) so I want to keep the color light without being pastel. Red becomes pink too quickly and I’m trying to stay away from neutrals. My experience with blues in the last house have me cautious. So what is left? Sage? Lilac? We’ll probably be painting the upstairs as well, but since that is separated rooms, I’m less concerned about having a color scheme. Unless inspiration strikes, I’m likely to keep them in the neutral tones. The master bedroom may get a hit of color, if I can find a non-neutral that I love and that will go nicely with our bedding. I love trying out new paint. Heck, you can always re-paint! My living room is a “burlap” color with a hint of red/pink undertones. And then we used a dark maroon accent over the kitchen cabinets. I think the red/pink tone pulls out the wood. You may want to look at something like that to pull out the brick. You could try swatches of paint colors on the walls to see what the paint looks like at different times of the day. Butter yellow is TOUGH – I know, I went through a TON of paint sample cans in my search! But, I found 2 yellows that I enjoy – the outside of my house is a soft butter yellow (actually looks cream in the can but truly is yellow) – it is a California color pale organza that I had converted to Ben Moore. My living room is a darker yellow that I also enjoy, it is Ben Moore Pollen Grains. My entry hall is a terra cottaish color – Ben Moore Nutmeg. My mother currently has my can of sagey green that is my main hall – I can get you that color name later. You can see my yellows on FB in my albums. And, I totally agree with Chris about paint swatches on different walls in different light qualities.